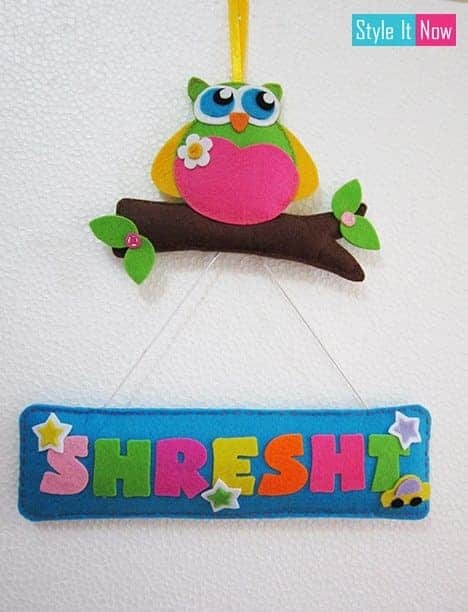 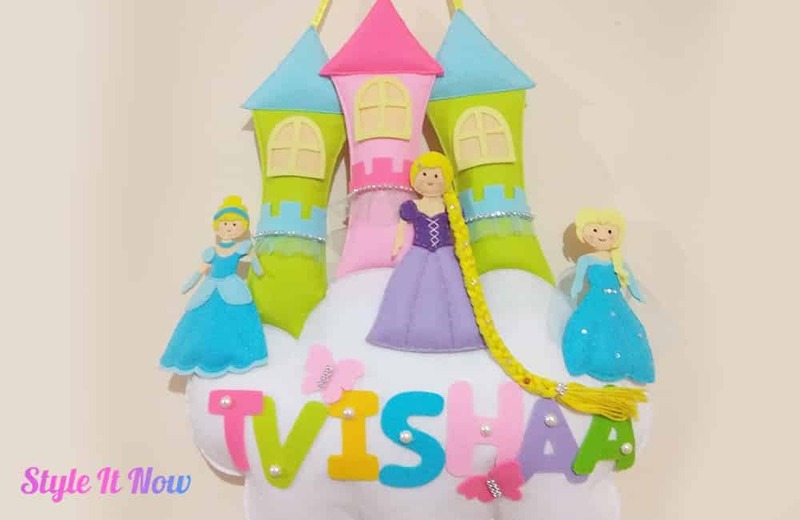 – Completely Hand Sewn – Made of Polyester Felt, Stuffed with polyfill – Customizable. 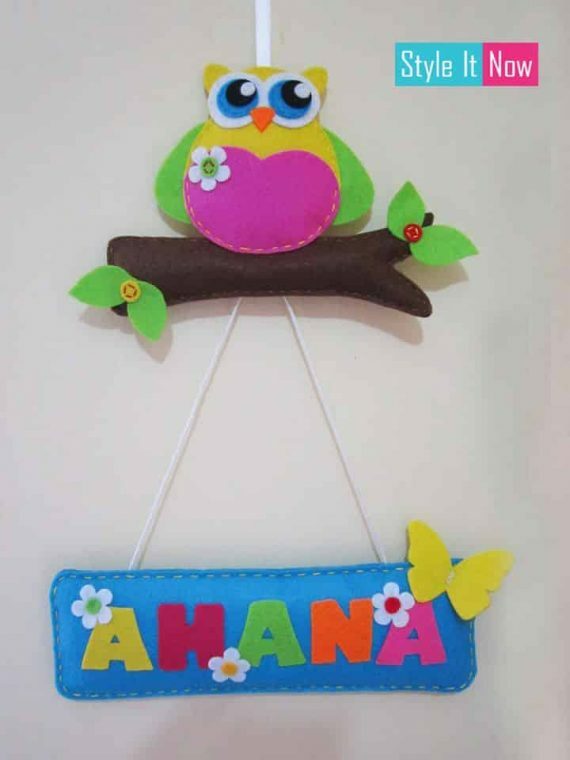 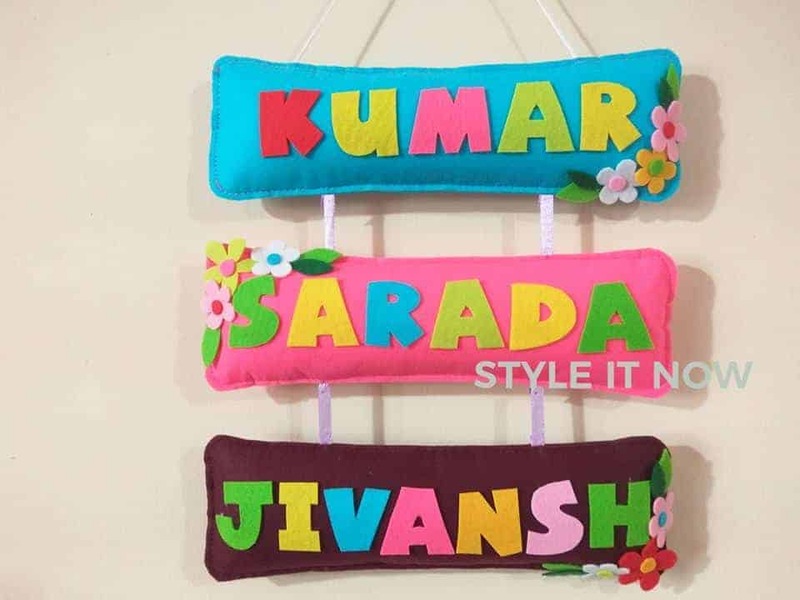 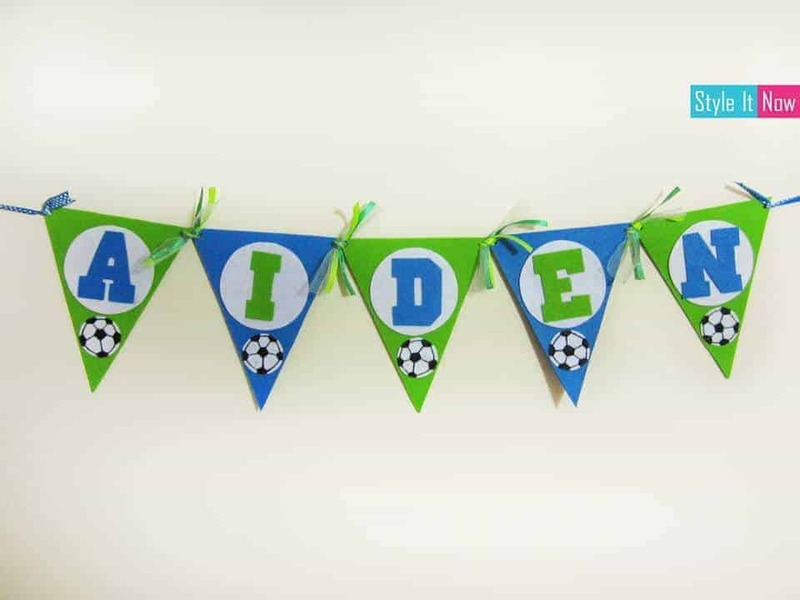 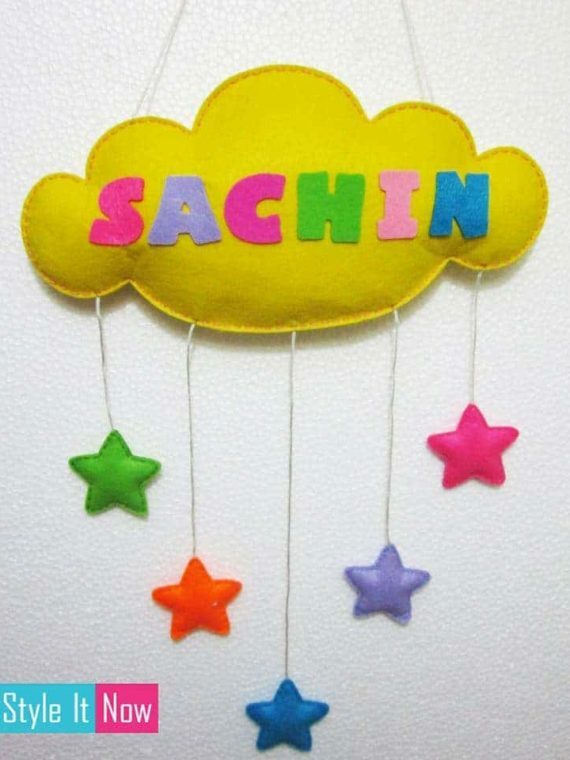 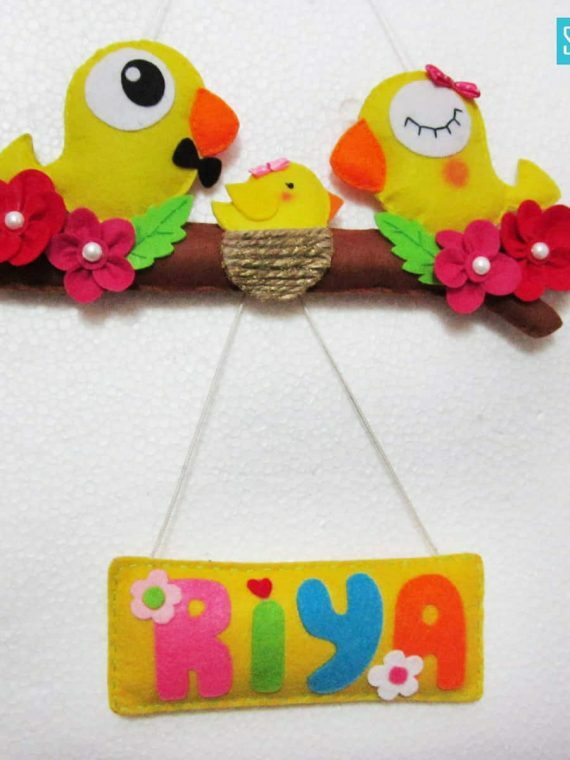 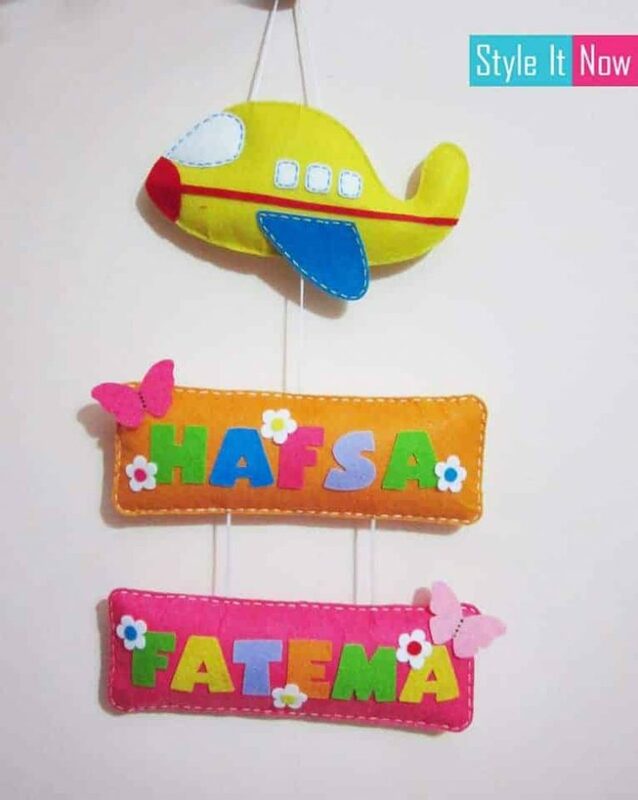 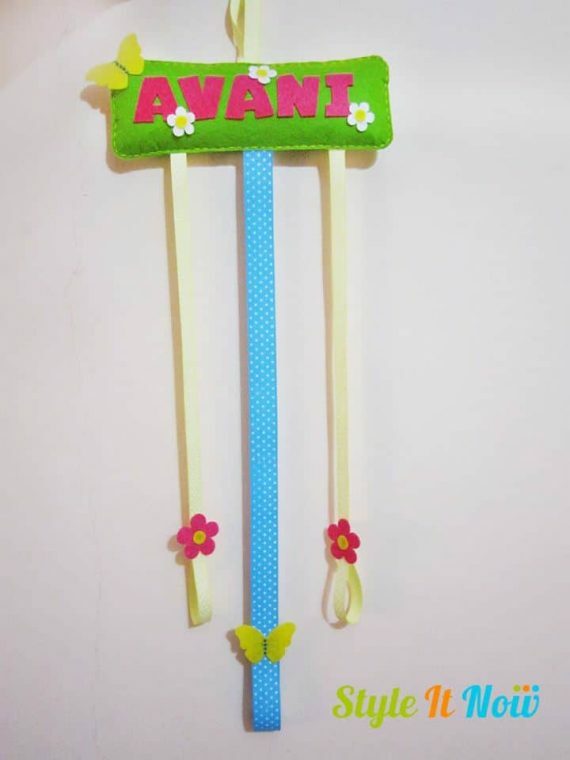 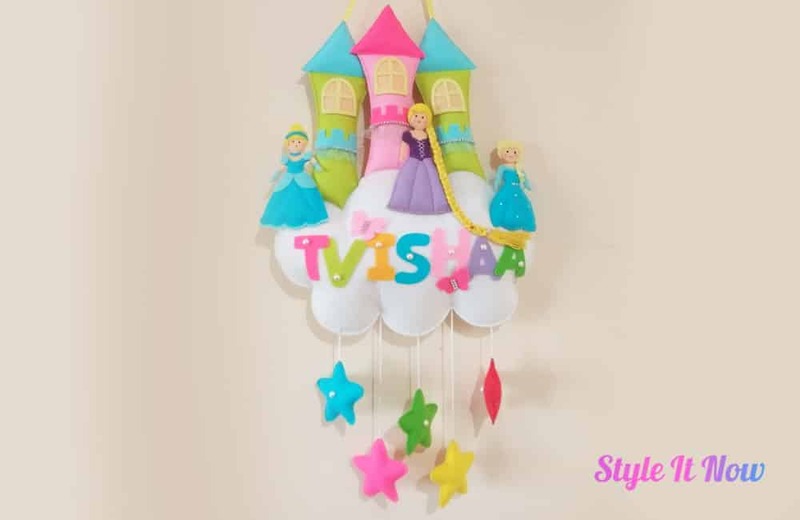 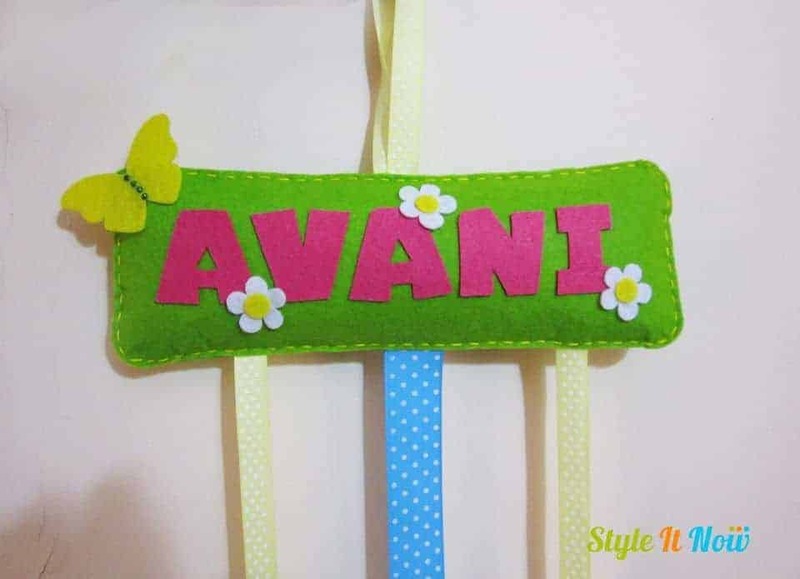 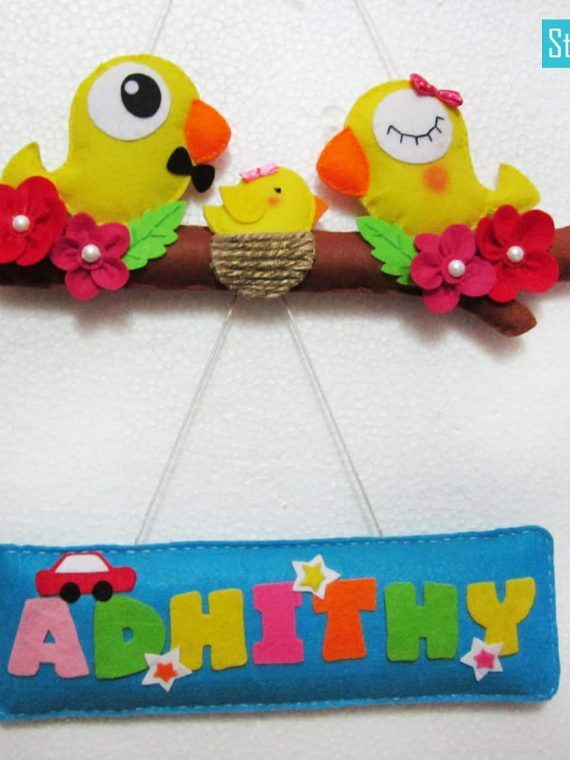 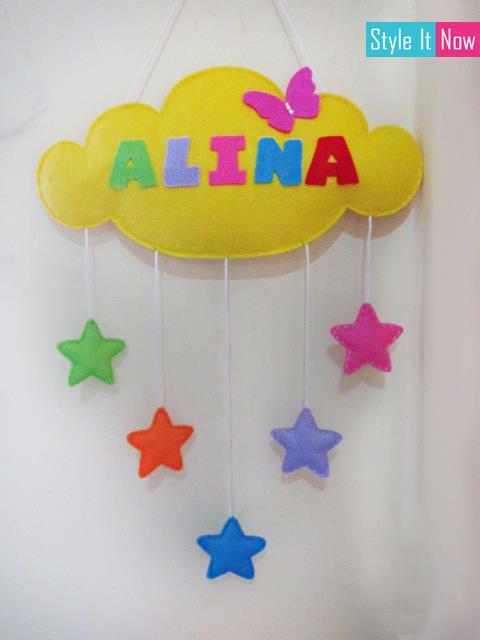 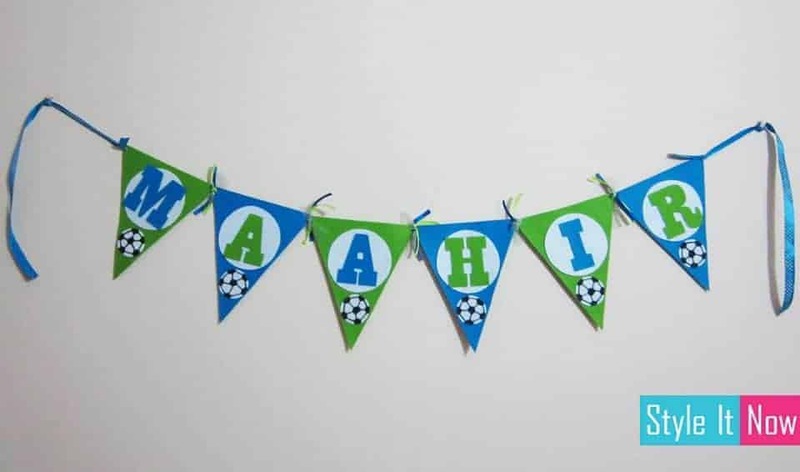 Beautifully designed Personalized Aeroplane Name Board Hanging with 2 Names. 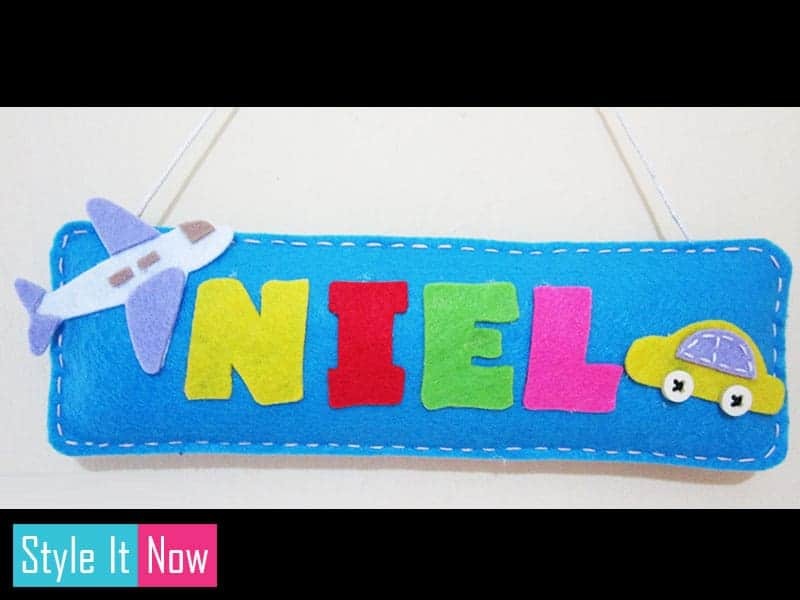 Select the Background color of your Choice. 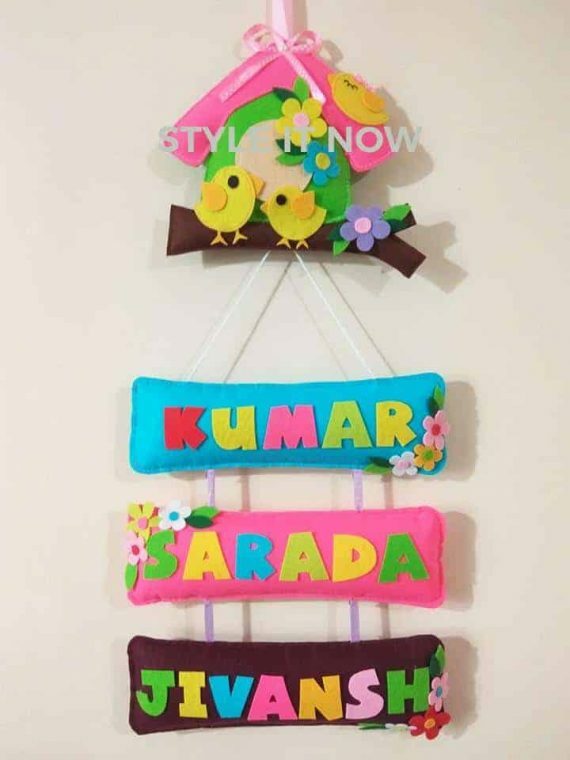 Please Mention the name to be written on the name board. 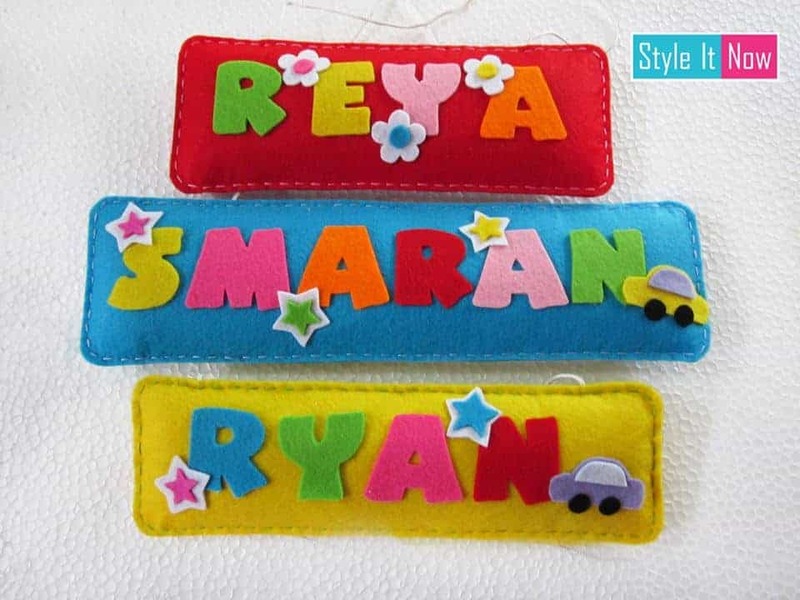 We will contact you in case of any issues with personalization.